Journalist and broadcaster Nick Owen was born in Hertfordshire went to school in Shropshire, attended university in Yorkshire, has strong family roots in Derbyshire, passionately supports a football team from Bedfordshire and lives in Birmingham. Not surprisingly, he is somewhat confused! In more than 35 years of his working life, he has written for newspapers, broadcast on radio and presented thousands of television programmes. He anchored the Olympic Games for ITV Sport in 1988 and followed this with the football World Cup two years later, Italia ‘90. Together with Anne Diamond, he helped to put TVam amongst the most successful television stations in the world. Nick broadcast on the very first day of ITV’s breakfast television in this country. At that stage, he was presenting sport. Within eight weeks he had been catapulted onto the newspaper front pages after being promoted to main anchorman. The popular couple joined forces again in the nineties – this time for the BBC – to host Good Morning with Anne and Nick, which ran for four years and six hundred programmes. 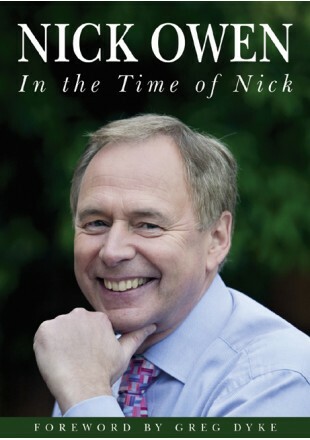 In his witty, intriguing and sometimes poignant autobiography, Nick describes the highs and lows of a television presenter’s life, the tantrums behind the scenes, the jealousies, his favourite interviews and his passion for football and cricket. Nick is married to Jill, a nurse, and they have three sons and a daughter.